Up to 1861 Sevenoaks was a small country town with a population of under 5,000 - smaller than it had been 30 years before. It had grown after the end of Napoleonic Wars. This was partly because of well to do gentry emigrating from London to live in and around the town, the opening of new shops, and to the construction, from 1840-80, of Hartslands as a working class ‘village’ between Sevenoaks and Bat & Ball, many of the inhabitants being agricultural labourers. Sevenoaks’ population growth levelled-out in mid-century because the first railways went to Tonbridge to the south on the way to Dover, and to north Kent on the way to Rochester; the town had been bypassed! 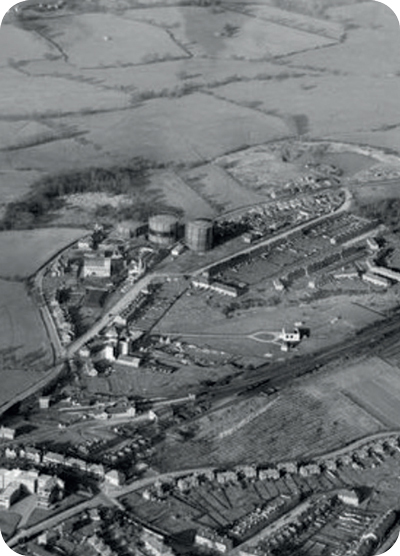 The period 1860-62 brought workers to build the railway up the Darent Valley. Labourers lived in temporary camps along the line of rail, and on the north side of Sevenoaks. They were the largest influx of outsiders to the town since troops had been garrisoned here during the Napoleonic Wars. After 1862, when Bat & Ball station opened, new residents came to live in Sevenoaks. New industries such as brickmaking, quarrying, light engineering, gas works, printing and publishing brought new employees from outside. 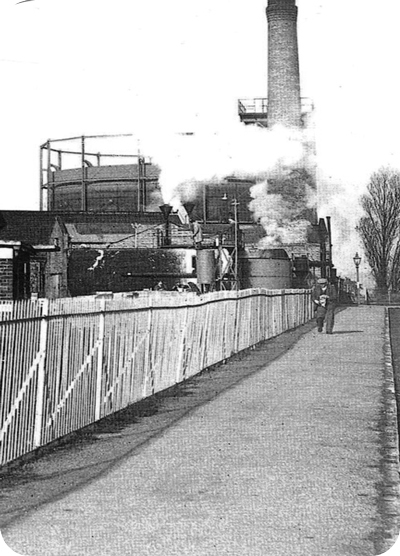 And building homes for commuters became a major local industry especially after the second railway opened at Tubs Hill in 1868 with faster trains to London. The population doubled by 1901. New-comers who became long term residents had a major influence on how the town developed. They brought new ideas, organisational talent and money. Arthur Hickmott, socialist member of the Urban District Council 1894-1915 who argued long and hard for social welfare provision for all. Sevenoaks’ good transport links - with two railway lines to London and connections to Maidstone, Ashford, Dover, Tunbridge Wells, Hastings, Brighton and beyond - made it a good place to supply support services to London. Printing and professional services - in finance, law and other areas - grew in importance. Communications included a very efficient postal service which made it possible to get a reply to a letter to London the same day! The same good communications helped Sevenoaks develop as an educational centre. They helped make Sevenoaks School and Walthamstow Hall (which moved to Hollybush Lane 20 years after the railway arrived) accessible to more students - including boarding pupils from further afield. The population growth after the railways arrived included many people with low paid jobs - or no reliable work at all. During the 19th century an increasing number of women became domestic servants for the families in large houses and for the professionals who commuted to London. This was low paid, insecure work. The lack of old age pensions until 1909 meant that many elderly people lived in poverty or were forced to go to the Union workhouse at Sundridge. From 1870 through to the early 20th century house building was largely a commercial undertaking: more houses meant more rates and an opportunity to reduce the level for each householder. From the 1890s onwards a few socially-minded progressive people helped build houses at manageable rents through housing cooperatives, social housing companies and workers housing schemes, e.g. Holyoake Terrace, St Botolphs Avenue, and Cramptons Road. The first public social housing came just before the First World War. Providing homes for people on average wages remains one of Sevenoaks big political challenges today. A Sevenoaks Town Council Community Project. with this project: Southeastern Railways Ltd, Friends of Bat & Ball Station, Railway Heritage Trust.